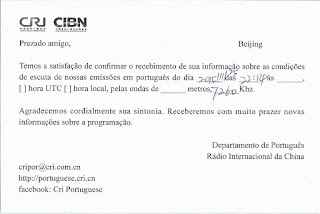 Escuta de transmissão em idioma português. 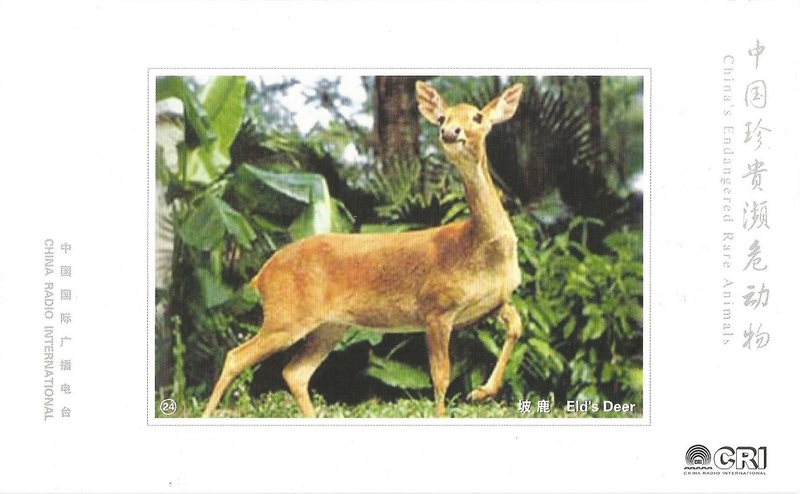 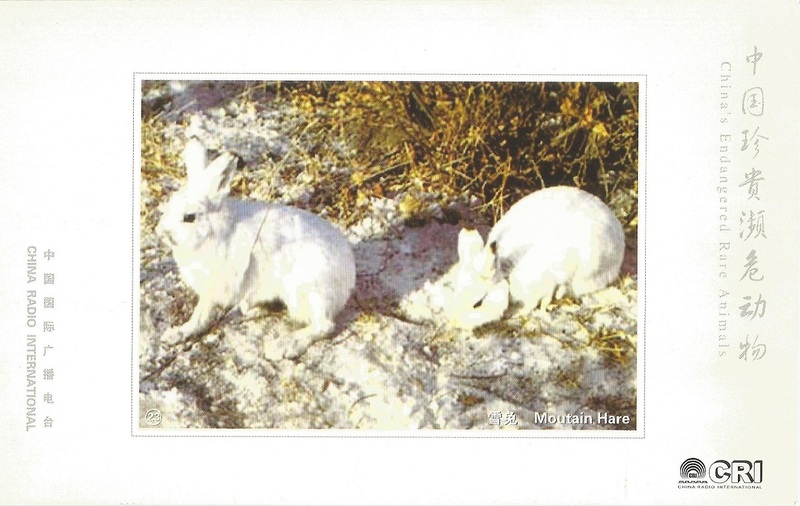 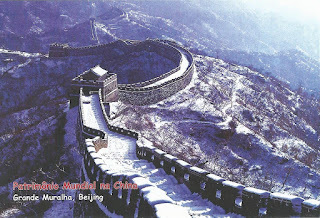 China Radio International – 9.710 kHz – Kashi-Saibagh/CHN. 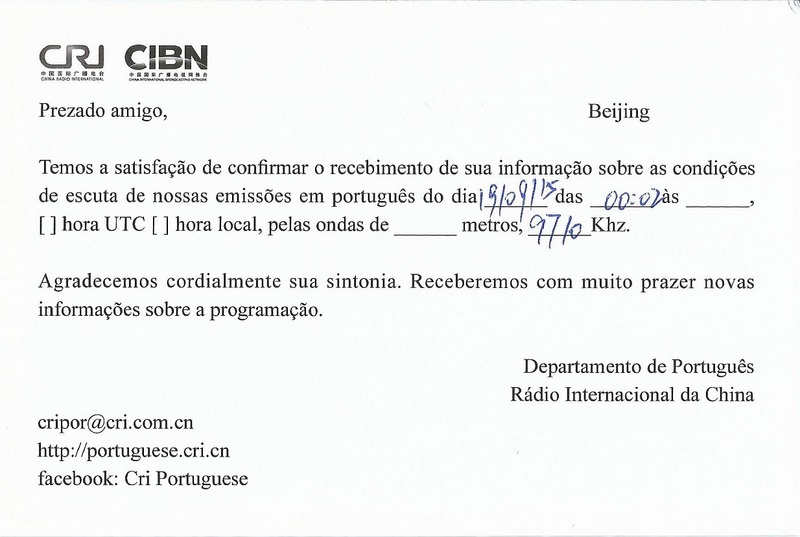 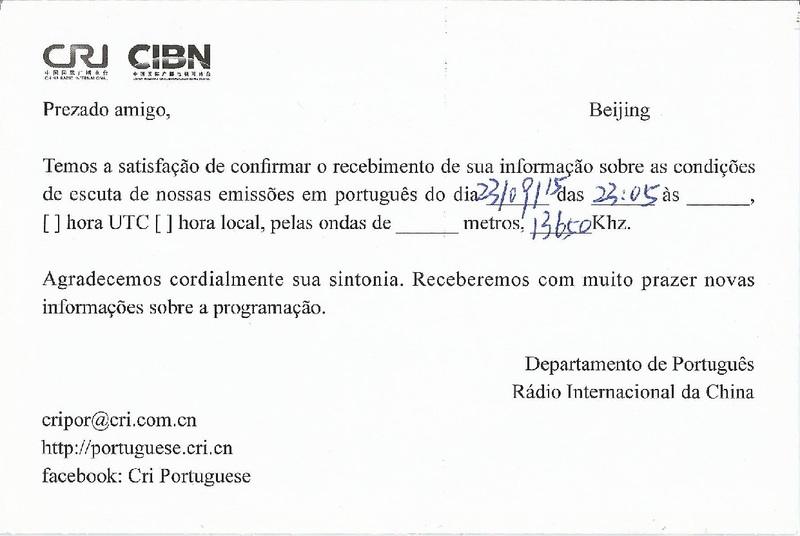 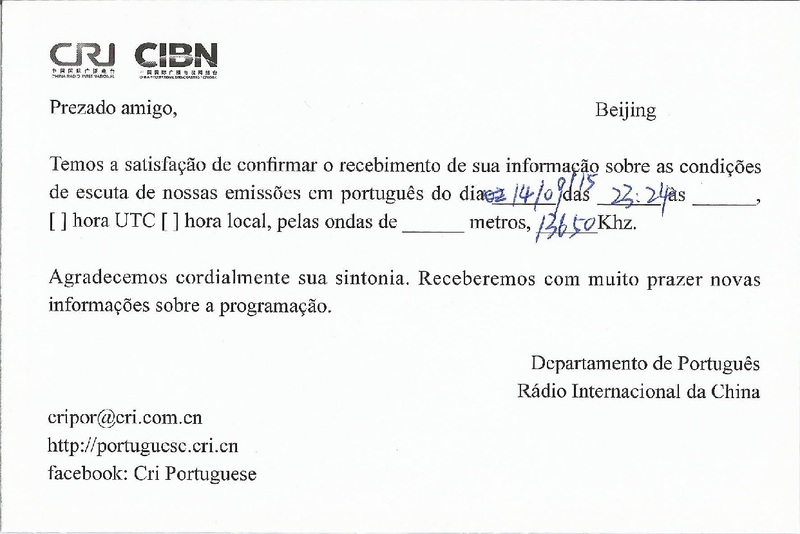 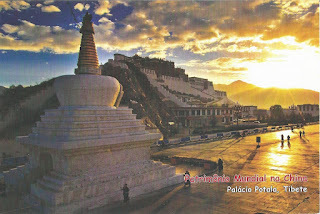 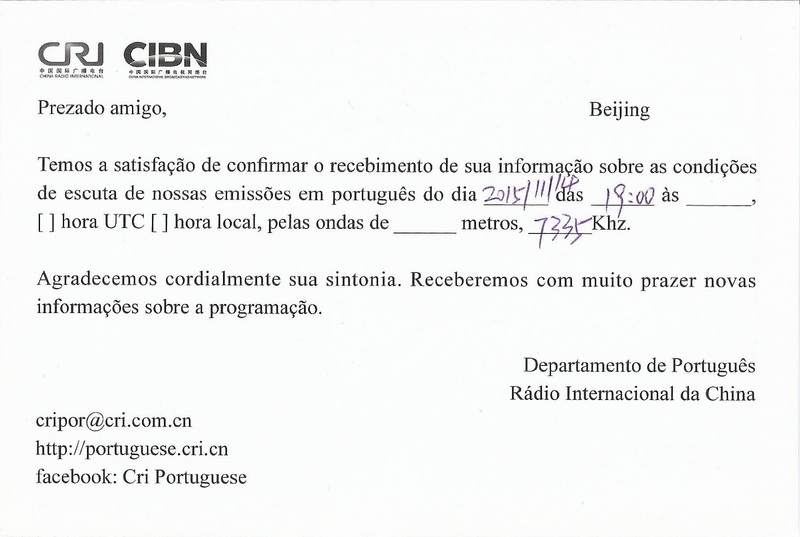 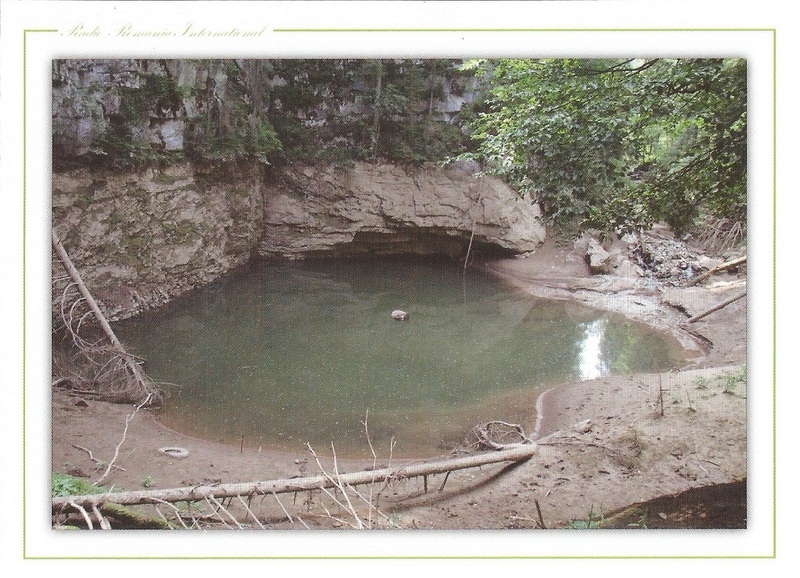 China Radio International – 13.650 kHz – Relay La Habana/CHN. 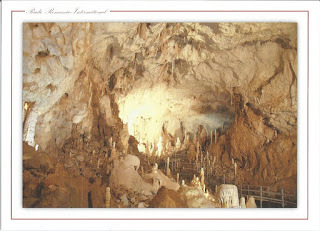 eQSL recebido: IW7DHC, Bari, Itália,7 MHz, QSO w/ ZB2JK. 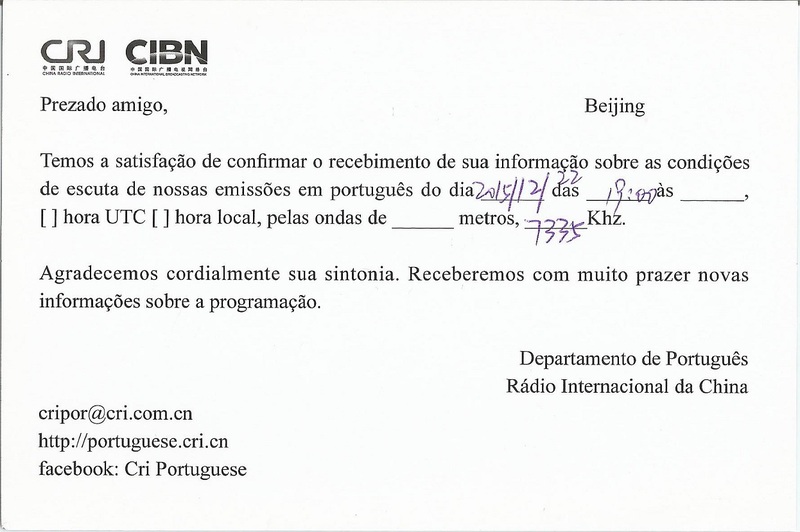 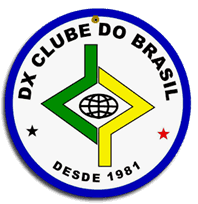 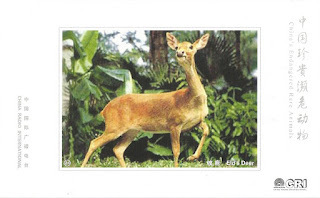 eQSL recebido: PY1PDF, Rio de Janeiro, RJ, Brasil, 28 MHz, QSO w/ SV1PMR. 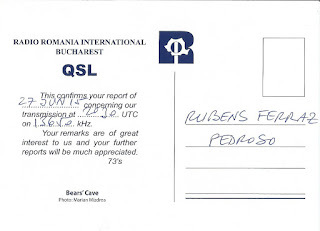 Radio Romania International – 13.650 kHz – Tiganesti/ROU. 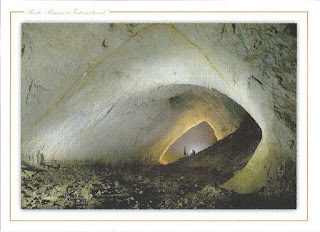 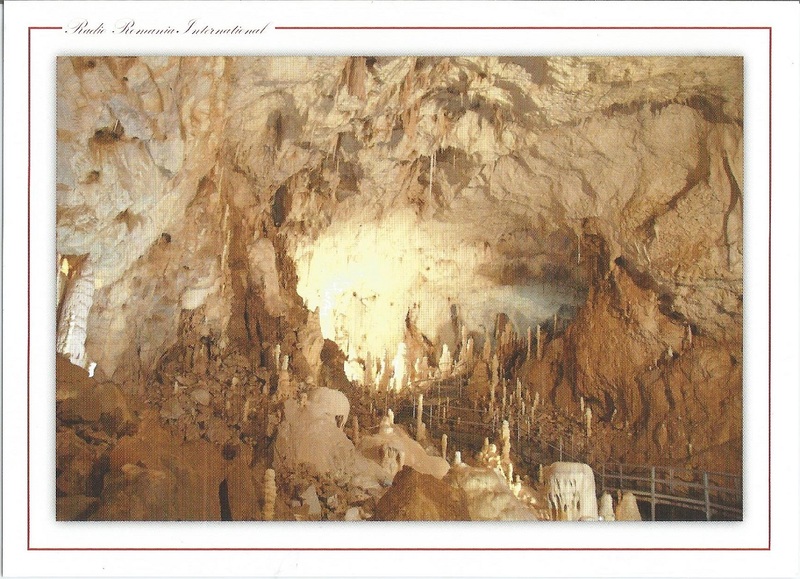 Radio Romania International – 17.780 kHz – Galbeni/ROU. 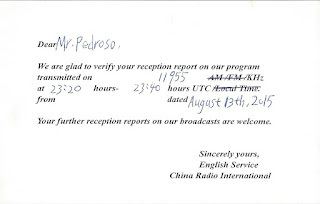 Thank you for your reception report and audio file, we haven’t an electronic QSL card. 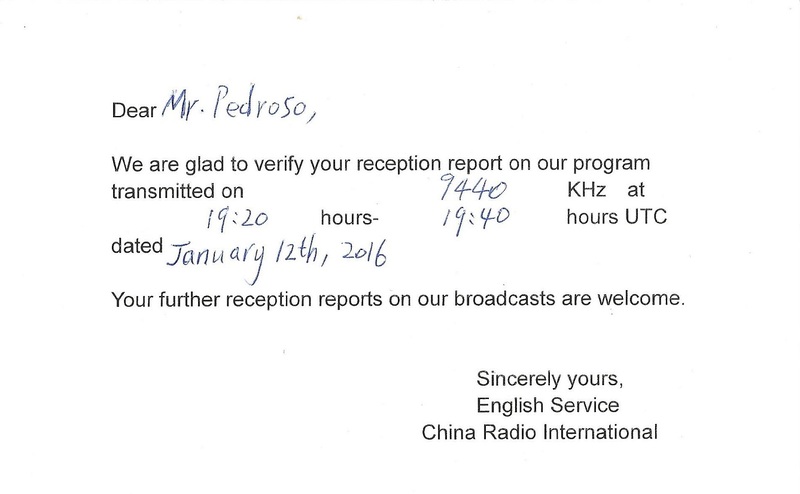 We send you a verification as follows. 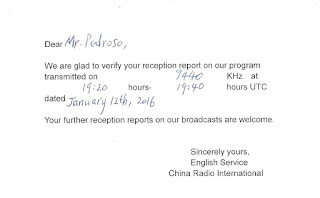 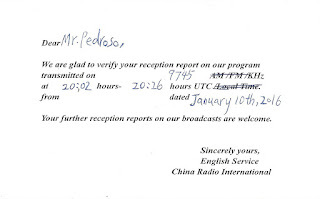 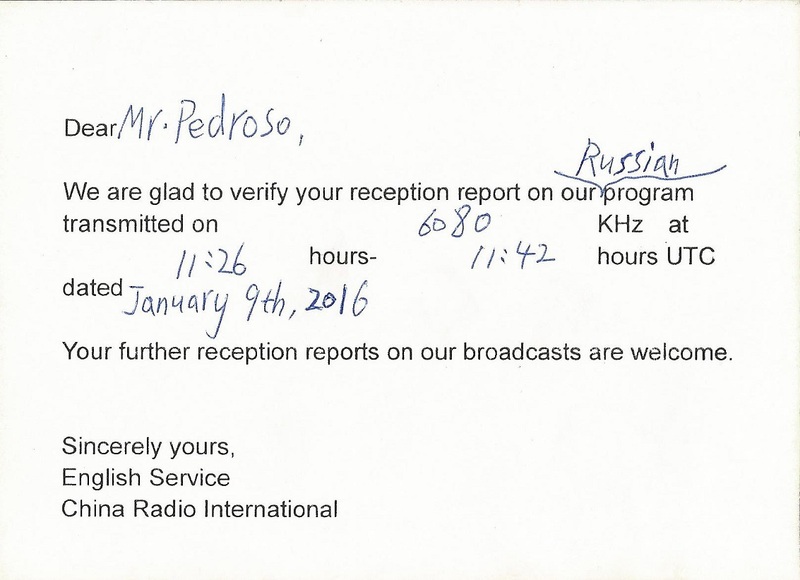 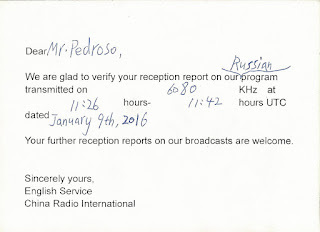 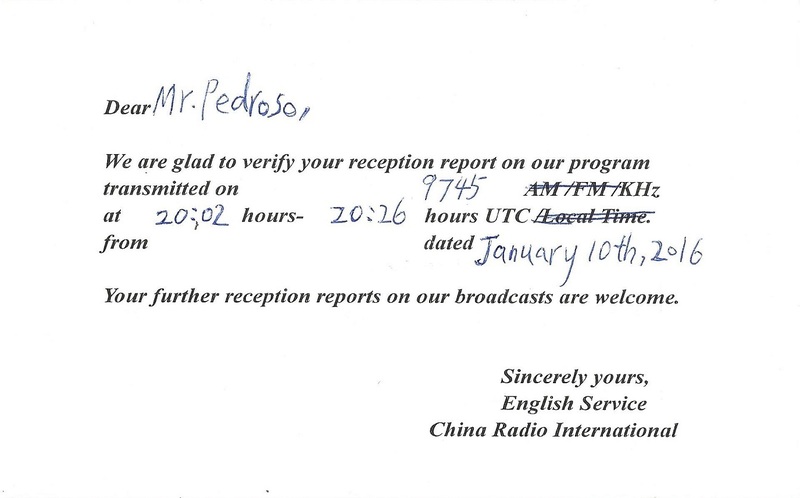 We are glad to verify your reception report on our program transmitted on 11635 kHz at 10:30 hours- 10:57 hours UTC dated January 30th, 2016. China Radio International – 9.745 kHz – Kunming/CHN. 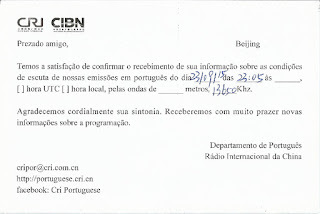 (Rx: Tecsun PL310 /Ant: Loop DZ Ultimate – OT/OC). 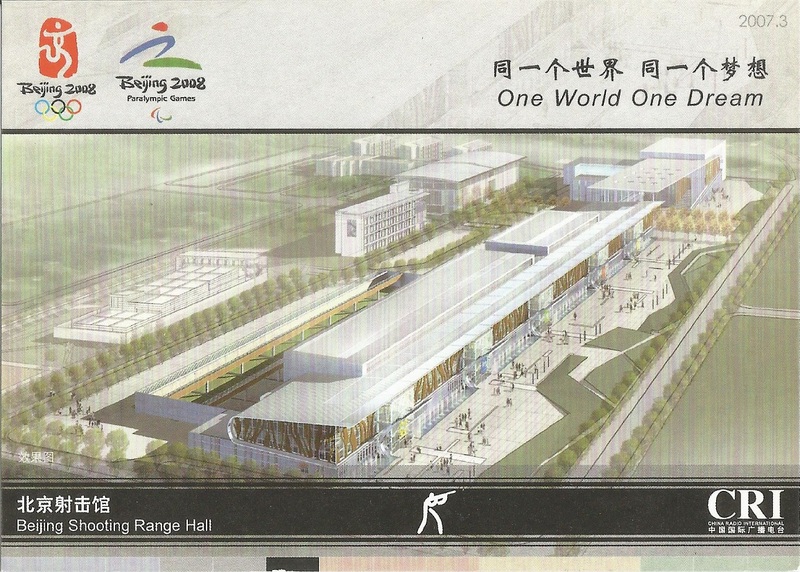 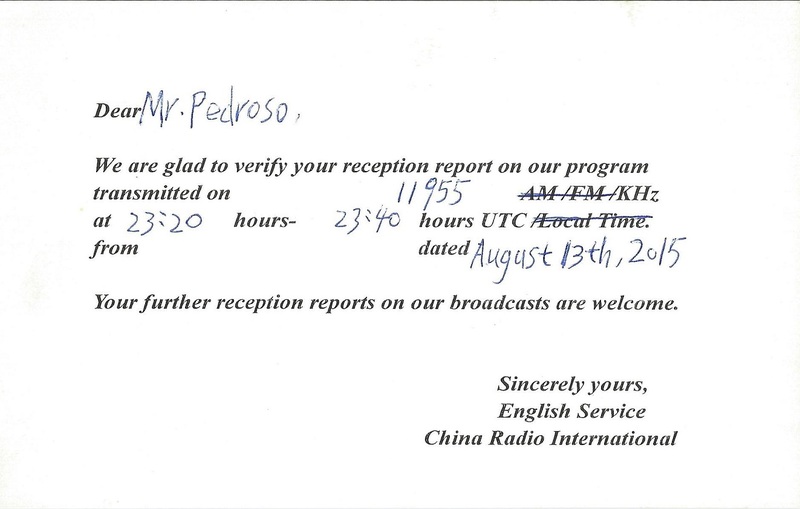 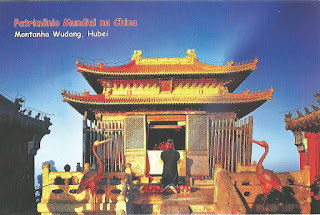 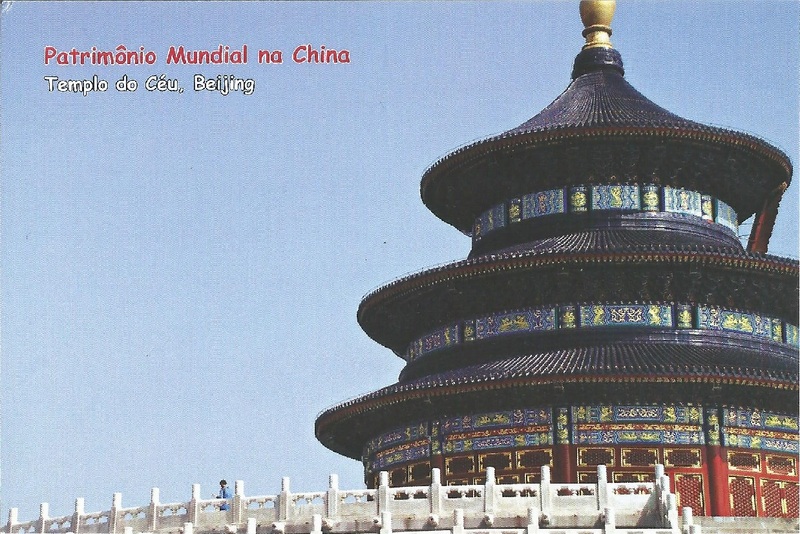 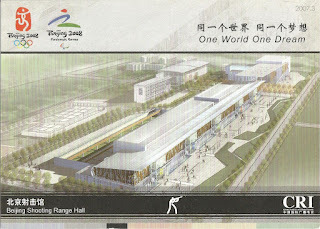 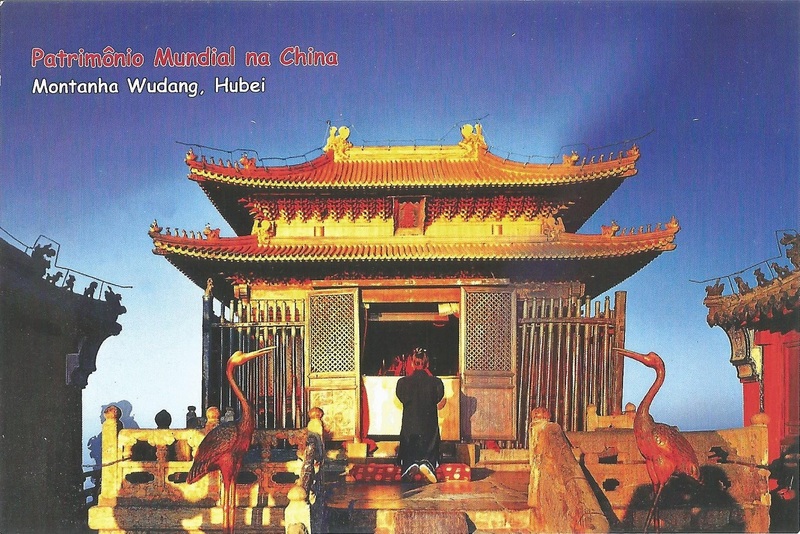 China Radio International – 9.440 kHz – Kunming/CHN. 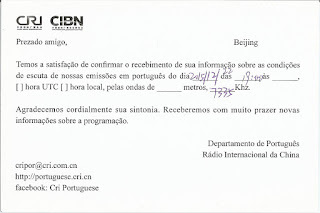 (Rx: Sony ICF SW 7600GR /Ant: Loop DZ Ultimate – OT/OC).